The time for Kitty Charity is MEOW! Cats of the internet, you are invited to a furrious face-off! 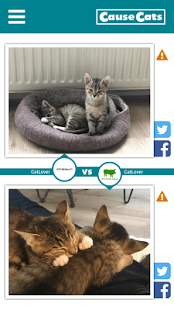 The most pet-friendly catfights possible: By photo voting! Which cat is cuter? Which one is funnier? The best pictures of the week win donations for their favorite animal charity! 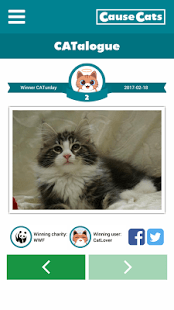 Rate cat photos all day long AND support charity at the same time. What a CATtastic idea. 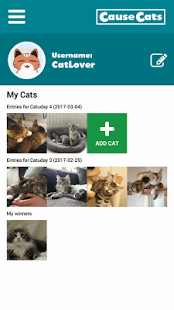 – Share on social media and get your friends to vote for your cat! Looking to publish your games? Contact us © Copyright, Tamalaki 2019. All Rights Reserved.